FISHING-MAD twin sisters Ayla and Maisy Douce enjoyed a hectic day of action at a south-west park lake, banking 17 fish to over 20lb. Under the watchful eye of dad Chris, the girls targeted an overhanging island snag at short-range, each using a simple lead clip set-up baited with a balanced 12mm Krill wafter topped off with half a white pop-up. Chris kept the swim topped up with a couple of Spombs of boilies and mixed pellets after each fish. 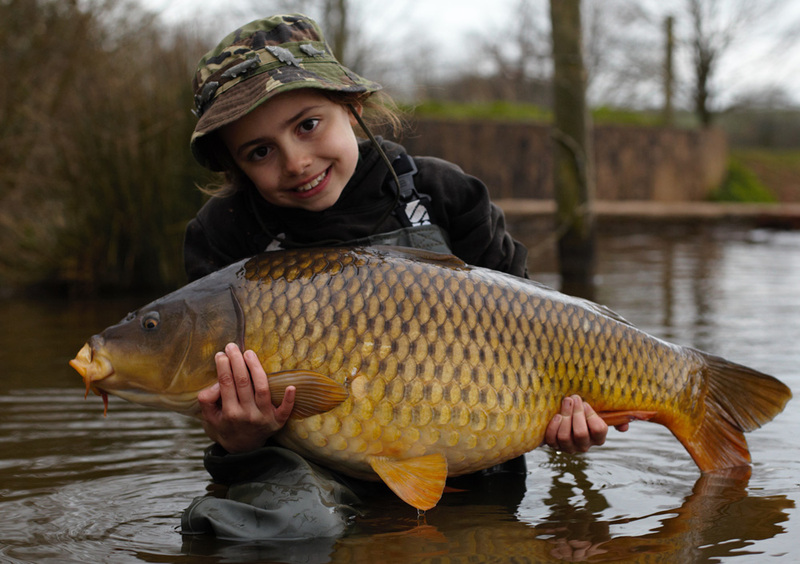 The best fish of the day were both commons – with Ayla’s scaling 21lb 12oz and Maisy not far behind on 18lb 6oz. Chris said: “The conditions were absolutely bang on and as soon as the rods went out, they started ripping off! It wasn’t long before I’d cursed myself for not bringing more bait!